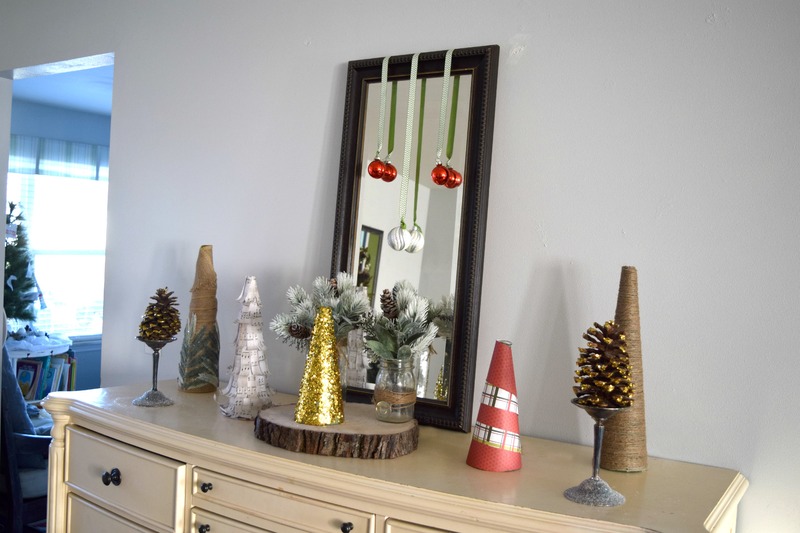 Today is part 2 of the 5 simple Christmas tree crafts! Today is all about adding the rustic and nature. I love doing little crafts like this, and had so many ideas for Christmas. 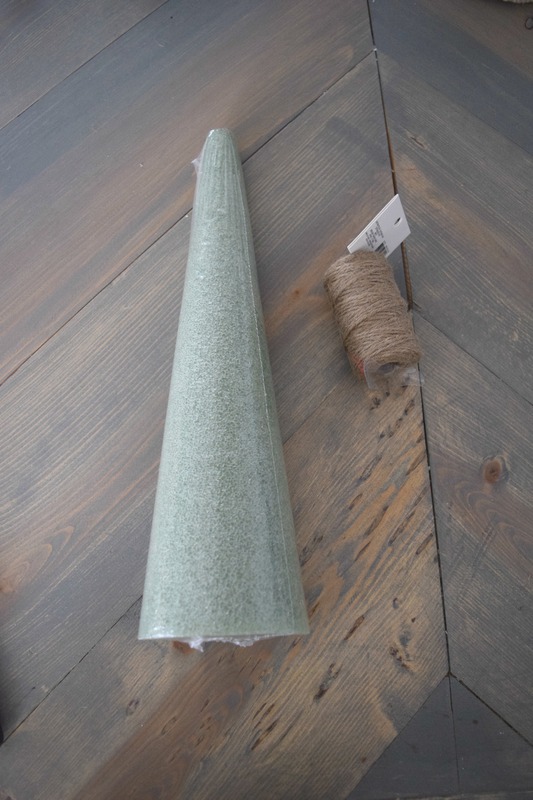 I was never into the crafty side of home decor, until I realized how expensive some of those little accent pieces can be. You can save a lot of money if you redo your bathroom, true. But, you can also save money if you craft smaller things as well. 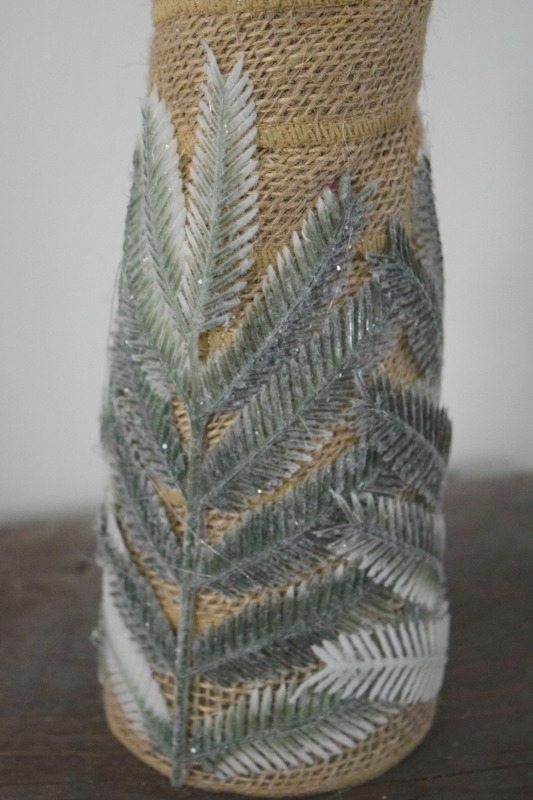 That is the case in this series I am doing of the 5 simple Christmas tree crafts. I have one more set of Christmas trees to share with you all. They help decorate my dining room beautifully for the holiday season. You can see part 1 here. With those ones it was all about adding the glitter. 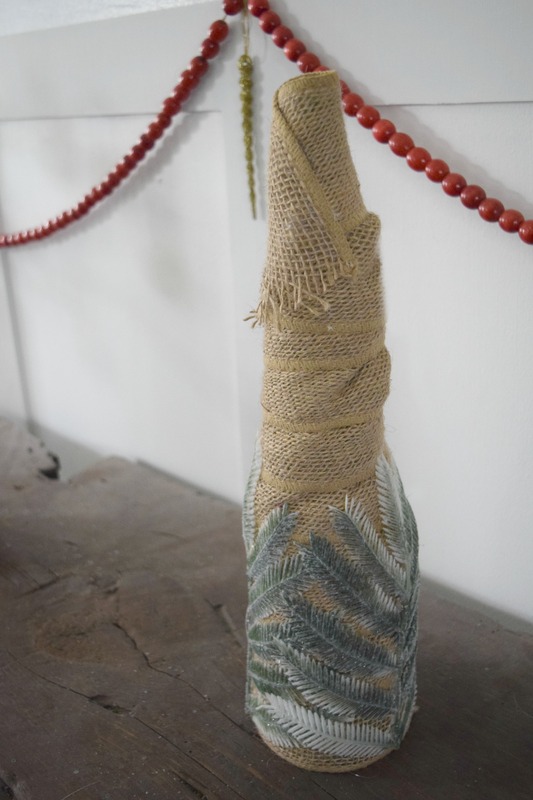 This time around I am toning things back down and bringing some much needed rustic and nature to my home. If you saw my Christmas home tour you would know I like to mix elements of bold colors and patterns with rustic pieces. All with accents of nature. It is a hodgepodge of decor, but it works. For the first tree, you need two things. 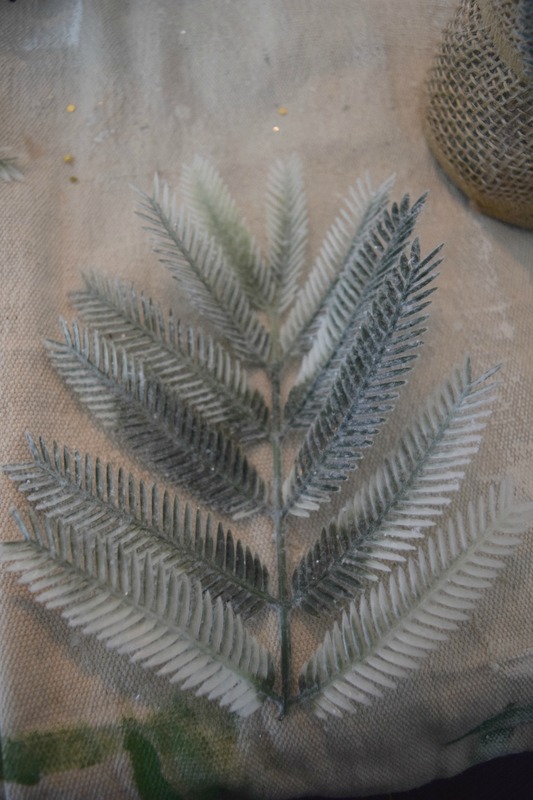 A tree form, it can be a Styrofoam one, a wood one or a paper one. Does not matter. 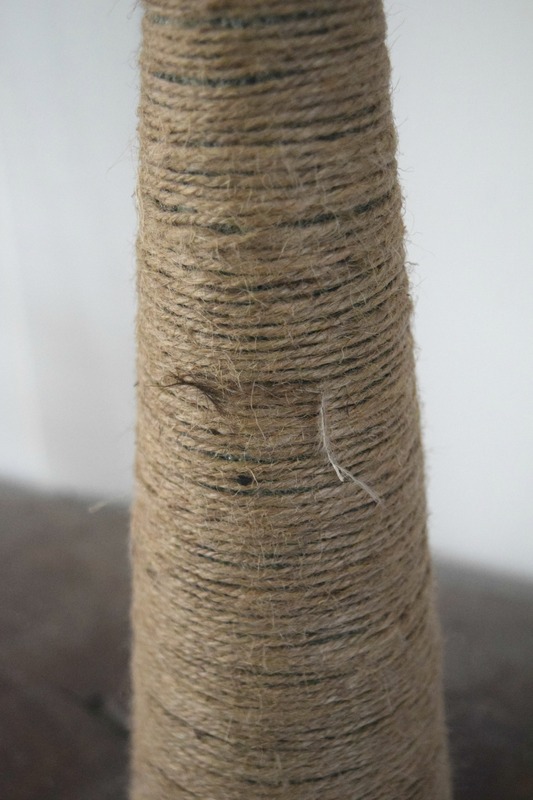 The other supply is twine, or jute string. I used my hot glue gun, but be sure to set it on the low setting. I had mine on the high setting initially but it actually melted some of the tree form. The low setting did not do that. 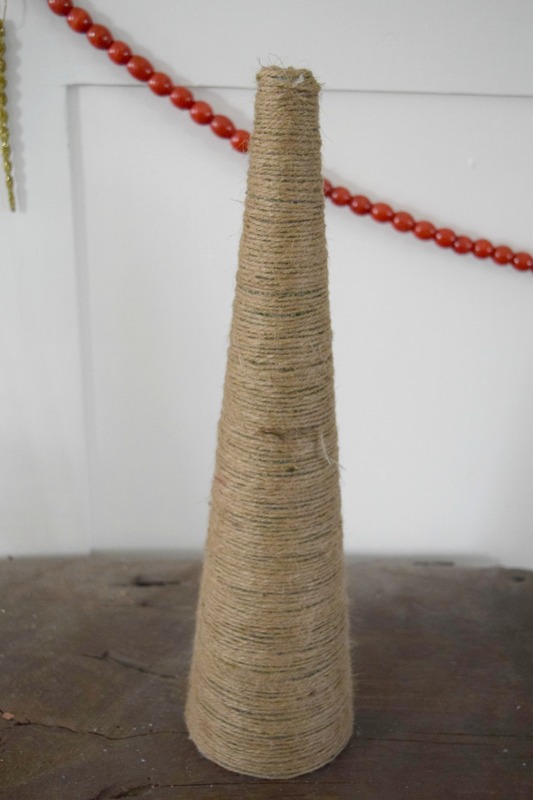 I glued a portion of the twine to the bottom of the tree form. Then the first row or two I put a line of hot glue on it and then looped the twine around the tree and pushing it into the glue. 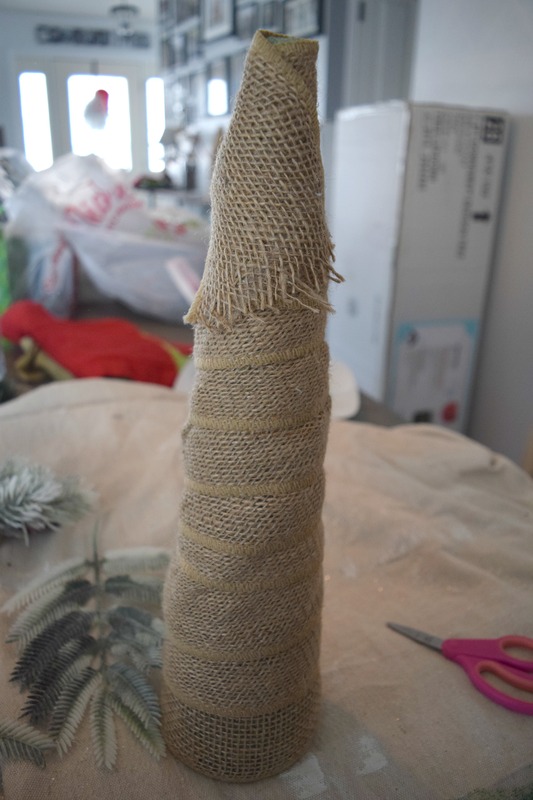 Once I had the first two bottom rows glued on I was able to just wind the twine around the tree form. No glue was needed if I kept things tight around the tree. Take your time and make sure there is no spaces in between the twine. This is a long process if you have a bigger tree form. As Dori from Finding Nemo would say “just keep winding twine, just keep winding twine.” or swimming. I think she said swimming but this works so much more. 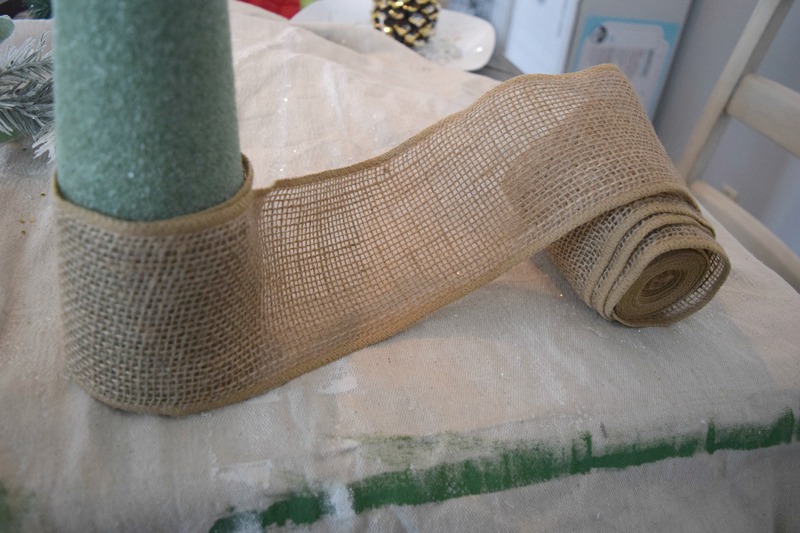 Once I got to the very top I put a few lines of hot glue down to have the twine adhere to. 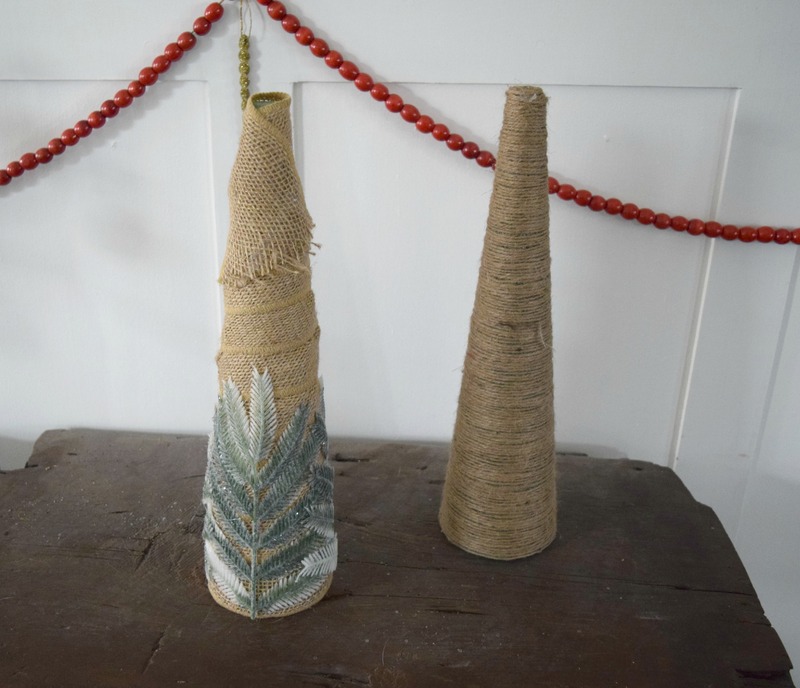 Then I wound the twine over the top and glued down. 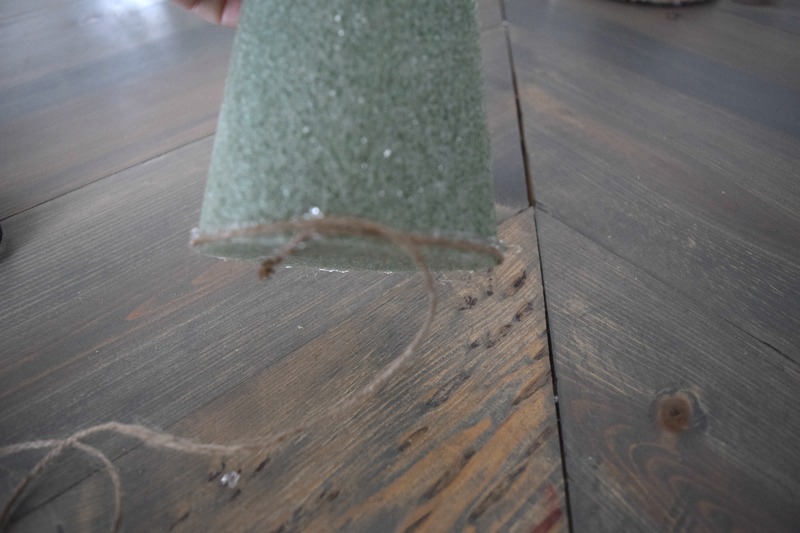 This was really simple and such a fun little rustic addition to any Christmas decor! 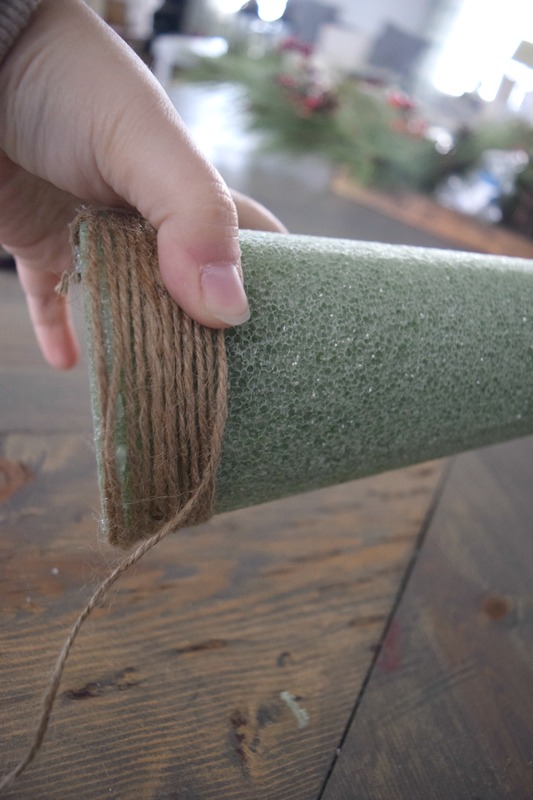 The next simple Christmas tree craft I am sharing today is the nature portion of this event. Since I am all about honesty I will say this did not go as planned. I had a completely different plan for these supplies. I was going to use much more of the fake leaves and greenery. Once I started putting it all together it did not mesh well. I improvised and came out with something I love! It was almost a Pinterest fail, but I saved the crafting day. The first step was to put a line of glue on the bottom of this tree form. That is what the ribbon will be attached to. Then as tight as possible wind this around the tree form. When working with this ribbon I had to keep it tight because otherwise it got very lumpy. We all know, as most things are in life, lumps are not good. I was able to make it work and attach the ribbon to the top with some well placed hot glue. I used gardening clippers to cut each leaf off of the initial bundle of fake greenery. I decided to use these leaves to add a little something subtle to this tree. I put hot glue down the center of the leaf, on the stem portion and then pushed it into the tree form. I also glued down each leaf end down as well. Otherwise they stuck out and away from the circular shaped tree form. I placed these leaves at the bottom of the tree form and had them overlap. I thought it looked cool. Sort of a winding look to it. Like I said, this was not my first plan. I had to go to plan B and I really like plan B in this situation! I think these two go great together. They have a similar color scheme and feel to them. They would be happy in a country decorated home or a more contemporary setting. Depending on how you dress them up makes the difference. I love a farmhouse and rustic feel, however mine is more on the bold side with modern touches and geometric shapes. These work in my dining room nicely. 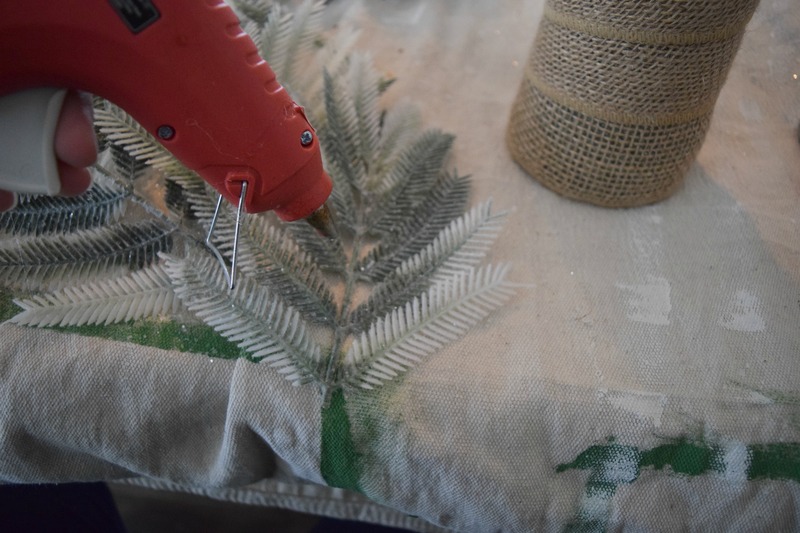 The tiny details in this simple Christmas tree crafts- adding the rustic and nature is my favorite part. 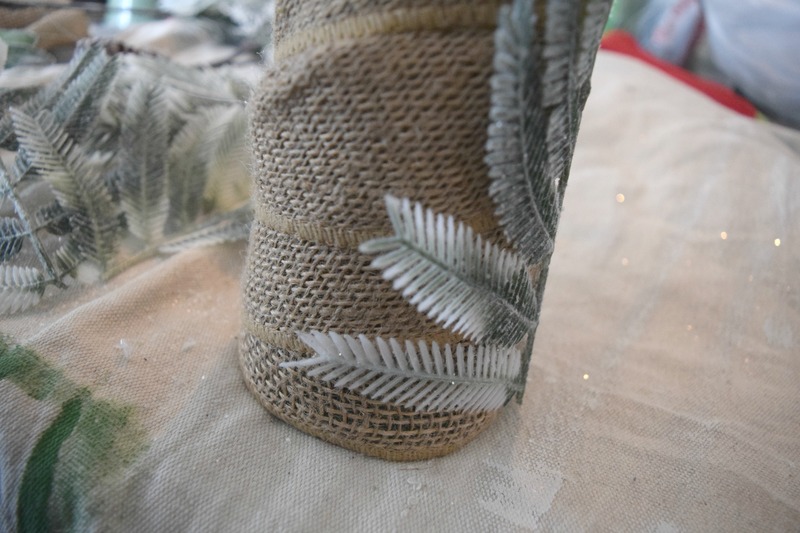 The mix of the light brown of the twine and ribbon with the green of the leaves is a nice contrast. I have not used this color combination too much in my home yet, I am not brainstorming other ways to make it work. In general I am really loving the greens in my home. I don’t normally decorate with green year round., But these light greens make my home feel so fresh. 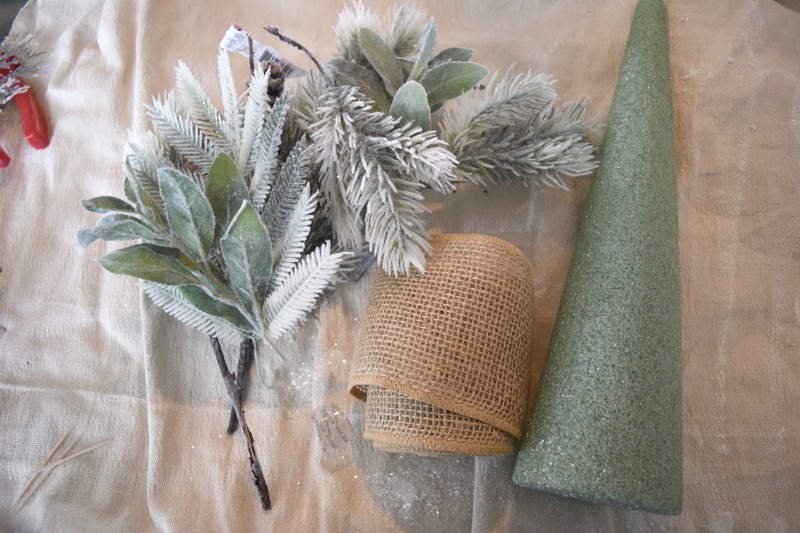 I may be switching things up in the new year and finding ways to add some greens into my home. I am always changing things up. In a few years I will be decorating in creams and whites because I went too color crazy. Right now I am over here screaming, show me the colors!!!! Here is the credenza in our dining room with all of the 5 simple Christmas tree crafts. We have two more to go. My home is all decked now and waiting for Santa to arrive. Speaking of Santa, Mama has a ton of wrapping to do. I am a serious shopper and get it done. I then take forever and procrastinate on the wrapping portion. For as crafty as I am you would think that I would do up the gift wrapping in swoon worthy Pinterest ideas. Meh, not o much. I get the job done usually the night before and then swear next year we are just not going to wrap the gifts at all. I do, every year. Are you a big present wrapper? Do you enjoy that whole process? If so do you want to be my Christmas present wrapping elf? Super cute- I love a little pop of rustic decor! 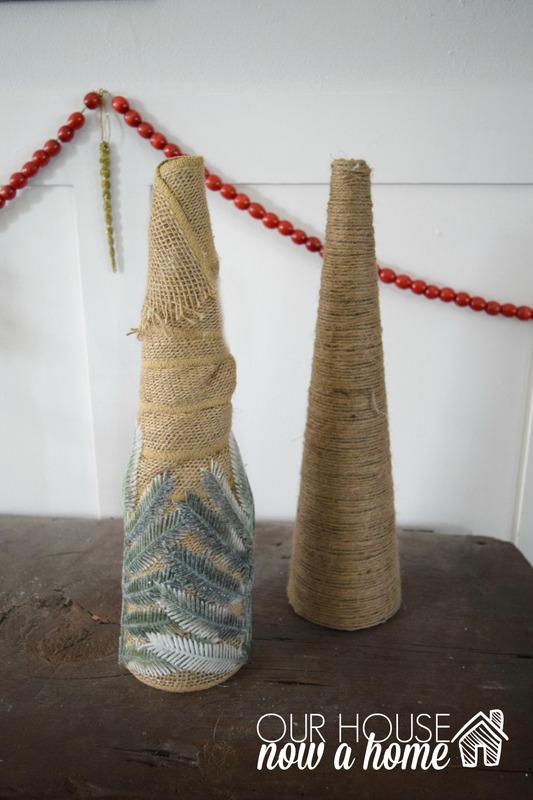 I really like the twine one= thanks for sharing! These are so cool. I have a ton of burlap upstairs and no idea what to do with is! I may have to make these! Thanks! These were really simple to make and you already have the supplies! These trees are really cute! I really like the sparkly one, but I’m just really into sparkles right now! Thank you, I am into sparkle also this year! 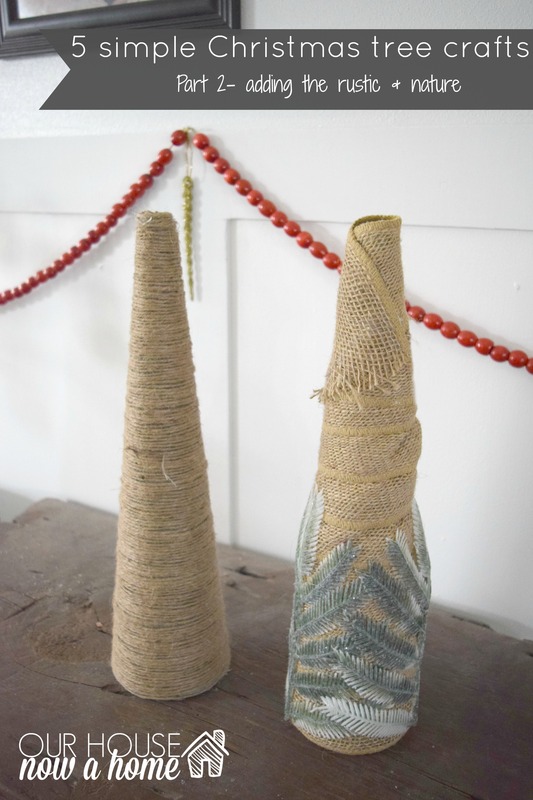 I love the twine one. I use a lot of twine for hanging stuff at Christmas anyway. I’ll have to try this next year. 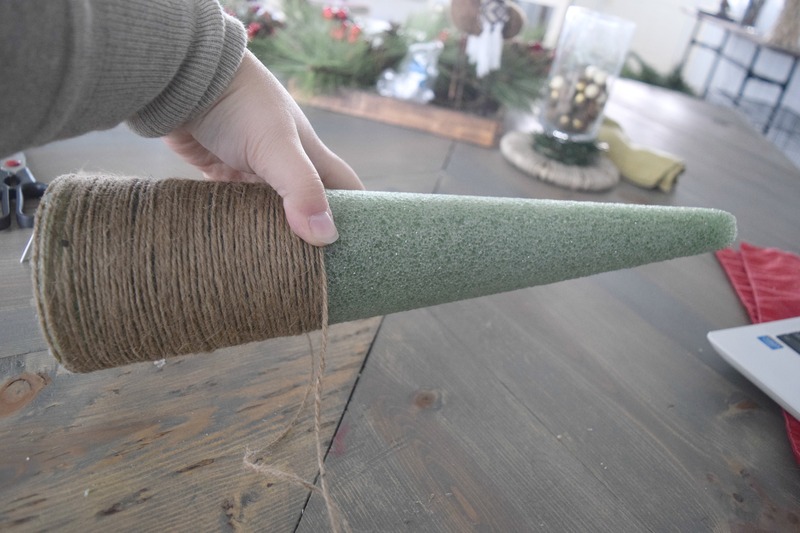 I use twine year round but during the holidays my use of it goes way up! 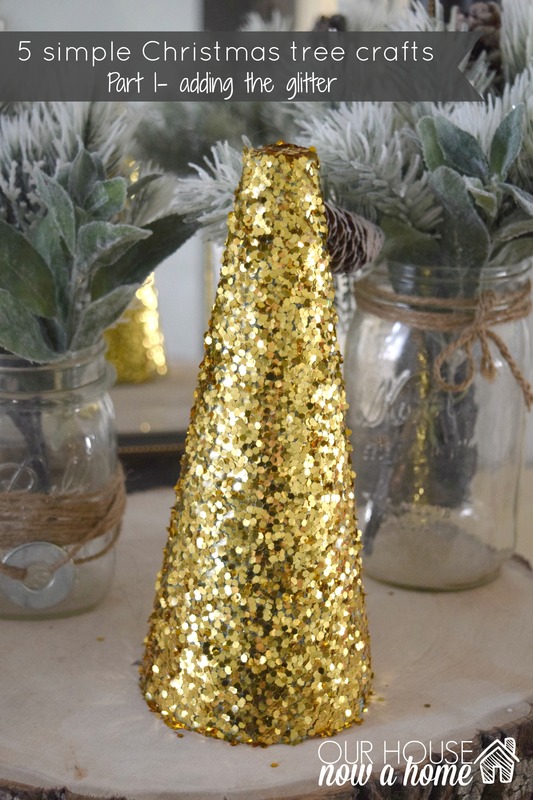 I love these Christmas tree crafts. They are so adorable. I think I’ll do this with the kids and make one for myself while I am at it! Pinning for later! Thank you! I am so happy you like these crafts. Thanks for the support! 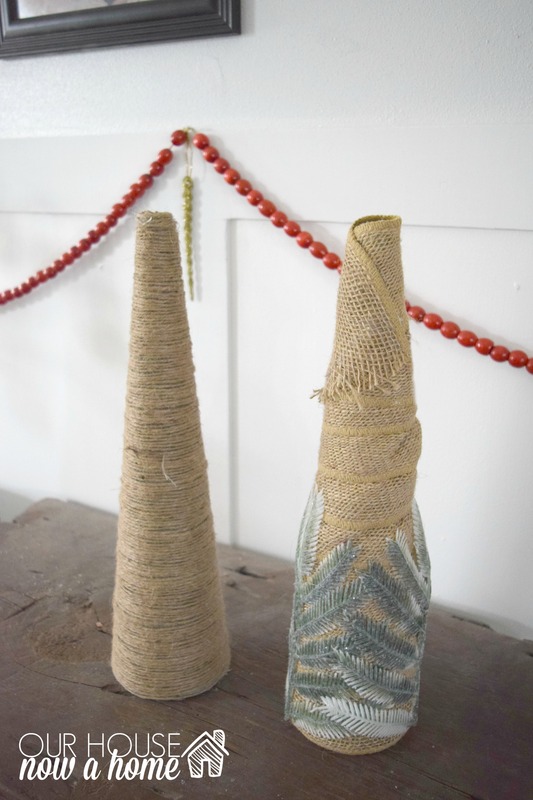 I really love the one with the twine, so simple but so pretty!